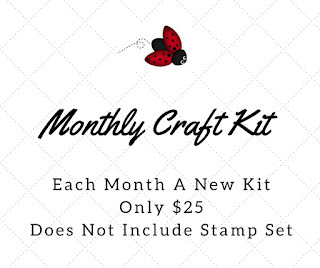 Introducing Ladybug's Monthly Craft Kits!!! I am beyond thrilled, and eager, to reveal my new monthly craft kits!! Basically they are kits that contain Stampin' Up! products, like a share but in a kit, that I have put together. 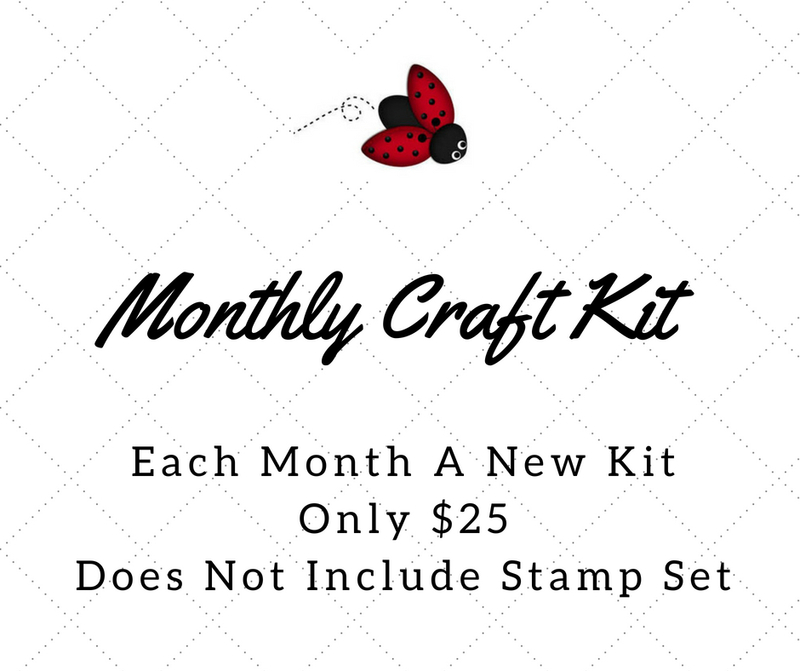 Each month the kit will contain, cardstock, DSP, accessories, punch outs, die cuts, and an instructional sheet to create 4 projects. The kits will center around a stamp set/punch/dies that I use to create the projects, and using the supplies you receive in the kit. There will be enough to create each of the projects with plenty left over. You may choose to create the projects or come up with your own ideas. Give credit where it's due!! I have been wanting to create something similar to this monthly kit for a while now. But couldn’t really come up with an idea, on how to share the love of Stampin’ Up! with others that was at a great price point. I tried classes to go, which included items that made the class expensive for some. Last week, I happened upon a YouTube video about a monthly kit from, Positively Papercraft, a SU! demonstrator, in the U.K. I instantly fell in love with the idea, and decided to reach out to Ann. I wanted permission to "case" the idea, while giving her the credit. She graciously agreed to allow me to case her idea, to offer here in the states. We have even talked about collaborating in the future, which excites me as well. 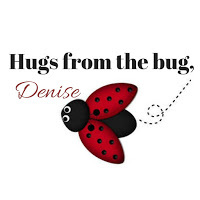 OK, let me give you some more information on my new Monthly Kits!! !